No matter where you live, sunglasses should be a year-round accessory when you go outside. If you participate in winter sports, durable sunglasses or ski-goggles are a must. Snow and ice reflect UV rays more than almost any other natural substance on earth. At higher altitudes, such as mountain ridges, UV radiation is even more intense. There are many fun activities to enjoy outdoors during the winter months and it is important that you don't go outside without the proper protection. Whether you're skiing, snowboarding, sledding, hiking, ice skating, or playing hockey, you need the right eyewear to protect your eyes from painful (temporary) snow blindness and dangerous overexposure to ultraviolet rays. Even though we can't see them, ultraviolet rays from the sun affect our body in many ways. Our eyes are particularly sensitive to UVB radiation. UV exposure contributes to the development of dangerous eye conditions and diseases, including macular degeneration and cataracts. UV exposure is particularly threatening for children, who have sensitive eyes and spend a lot of time outdoors. Protective children's sunglasses don't have to cost a fortune, but it is important to make sure that they are 100% UV protective – no matter how cute they may be. Bring your child along to ensure the sunglasses fit properly. If you have the child help you pick them out, he or she may be more likely to wear them. 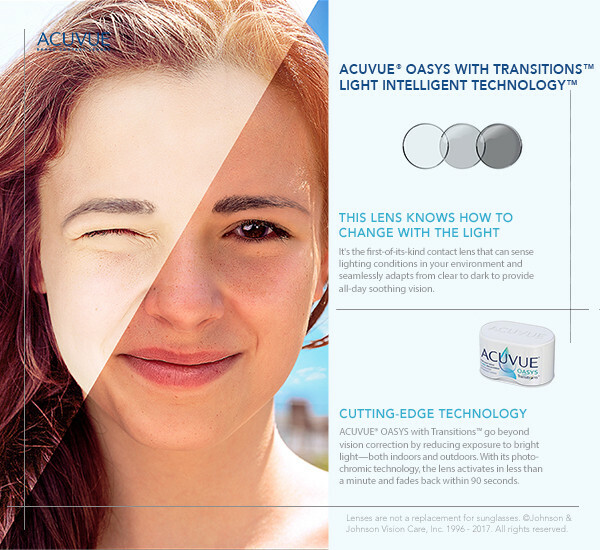 If you wear prescription glasses or need vision correcting contact lenses, there are lots of options for UV protection. In addition to non-prescription or prescription sunglasses, you could add sun-clips to your regular prescription eyeglasses, or get a pair of glasses with "photochromic" lenses such as Transitions, which darken when you go outside. You can also get a UV coating on your lenses or opt for a pair of full-out sports goggles, depending on your needs. Going outside this winter? Don't forget to protect your precious eyes. Whether you are vacationing at a beachfront resort, hitting the slippery mountain slopes or building a snowman with the kids, be aware of the harmful affects of UV on your eyes and wear your sunglasses year-round!